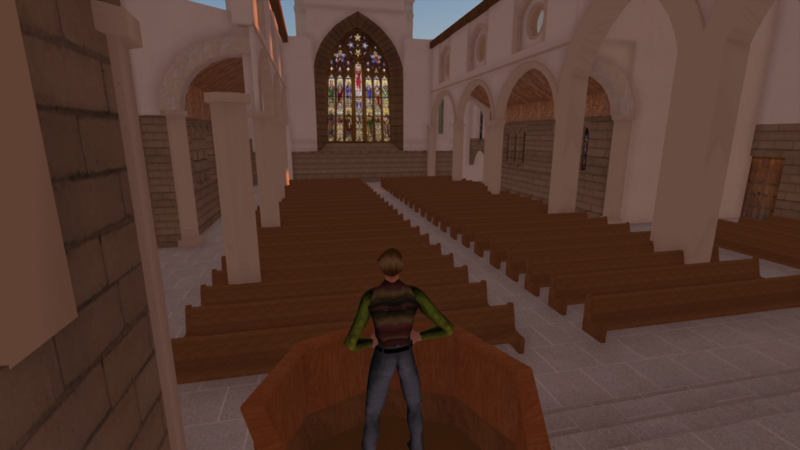 A collaborative project between Open Virtual Worlds and the ‘Out of the Flames’ group, 2012-13 Museum and Gallery Studies Graduate Diploma/MLitt students from the School of Art History, University of St Andrews. 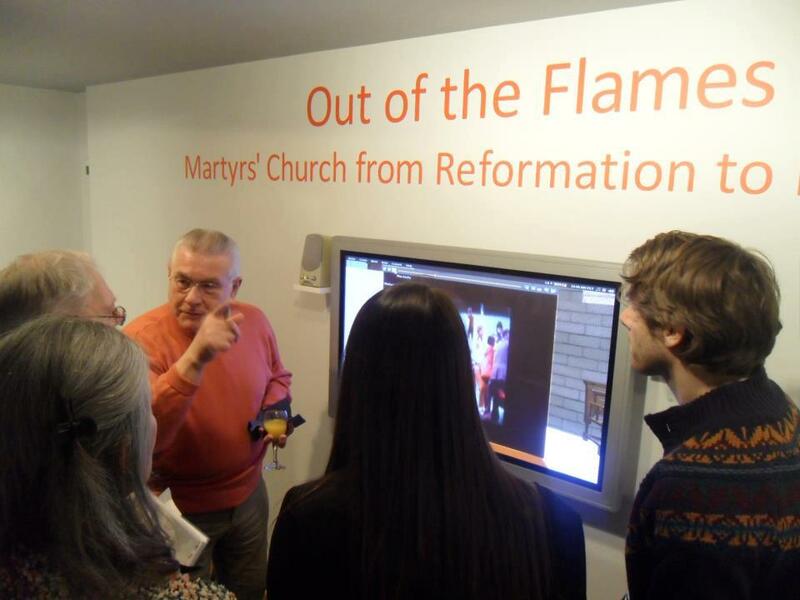 The 3D interactive reconstruction was part of the exhibition – Out of the Flames: Martyrs’ Church from Reformation to Renovation. 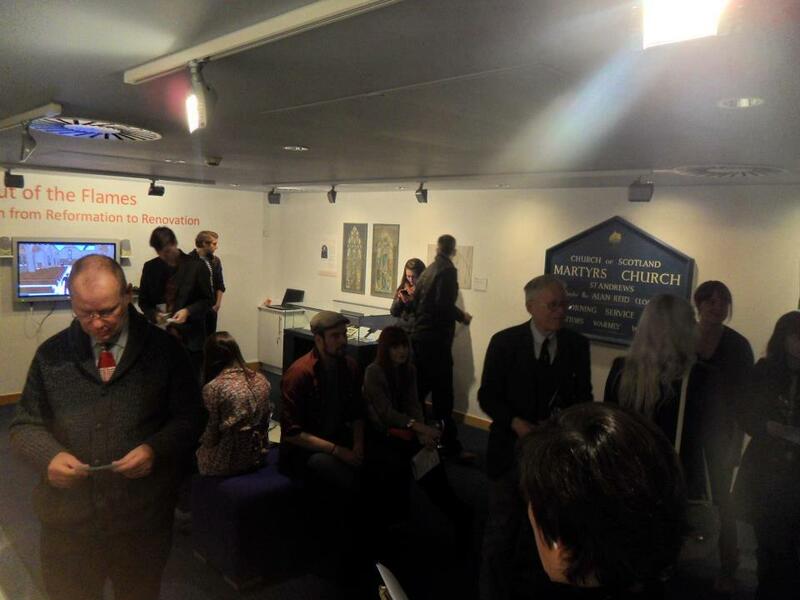 An exciting and interactive exhibition focusing on the history, community and architecture of Martyrs’ Church St Andrews. The exhibition was held at The Gateway Gallery, St Andrews from 16th March – 11th May 2013. 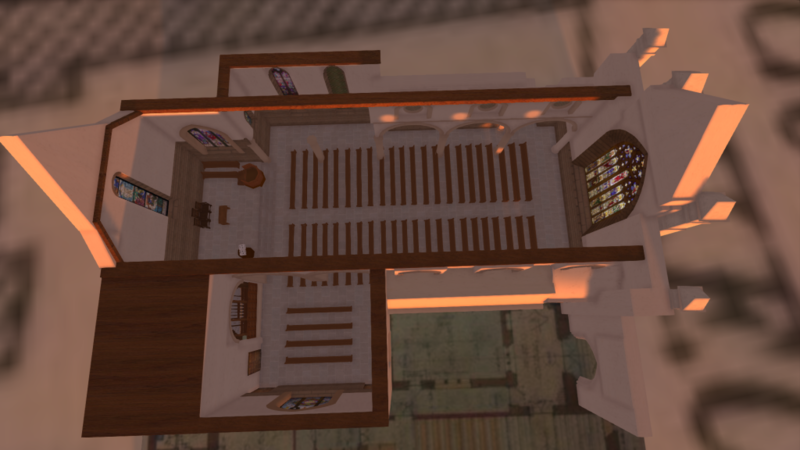 For over 150 years Martyrs Church on North Street has stood at the heart of the town and community of St Andrews. The Martyr’s church ceased to be a Parish church some years ago when their congregation was folded into another Parish. The church has since been purchased by the University. 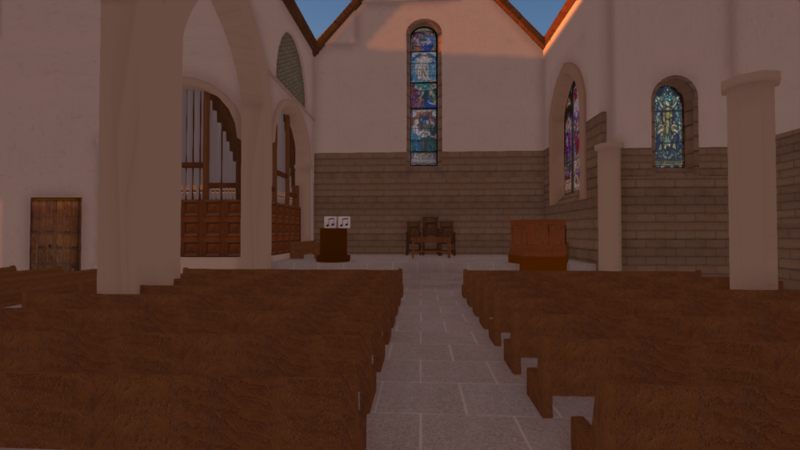 This interactive exhibition gave people the opportunity to explore the colourful past of the building and its people, discovering the violent history behind the name, learning the hidden stories behind the stained glass windows and reveal the importance of this treasured church.